Retailers know that email is a vital medium of communication with consumers that drives product awareness, social interaction and revenue. Developments in digital marketing and the ubiquity of smart phones in countries like the UK have changed the way people access and use emails, and Email Marketers are taking note. So what can marketers do to make sure their emails are getting through at the right time, to the right people, and in the right way? Here are some quick tips to do just that. Mobile marketers should already know that smart phones have become a vital touch point for consumer interaction, with 60% of Britons said to own a smartphone, and studies claiming users check their phones an average of 150 times per day. That number is only growing. And Email Marketers should be aware that 47% of email opens happen on mobile devices. So why are so many retailers still not making their emails responsive? Creating responsive emails doesn’t require plenty of work, and can be as straightforward or complex as you like. Here is a great infographic that illustrates how to create a responsive email. It contains snippets of code that you can implement directly. Making sure your emails are responsive can have a dramatic result on your click-through rates and conversions. And keep in mind that you are designing for multiple screens, but check that your customer base is using them first. The experience is most important, so make sure you are taking all these variables into consideration before you design your responsive emails. Email Marketing will turn overwhelmingly responsive in 2014, and whether you are inputting code yourself or leaving it to an agency, don’t forget this vital step. Once you have decided on a responsive email design, you should consider the next step. Strategy. You can’t deliver the proper content to your subscribers and customers if your message is askew. So make sure your brand message is clear and your promotional materials are relevant to your email base. This is more important than ever for email subject lines, since Gmail users now have promotional emails grouped together, and having an eye-catching subject line is key to standing out from the crowd. The variety of content should also reflect your approach as a brand and create value to the consumer. You should consider email open and click-through rates over time and by device, to see if there is a difference in how people use their devices and when. This will guide the type of content you produce. For instance, if you know your most loyal customer segment opens and clicks through your emails mostly on Sundays with their mobiles, you can target them then with special offers that look great on their devices. The key is to make sure your content is valuable, and relates to both the message your company wants to send and the products/offers your consumers want to use. Event-triggered, or behavioural emails are tailored emails that you can input into your ESP to respond to certain triggered events. For example, if someone abandons a cart, your triggered action would be a retargeting email displaying the basket of items not purchased. 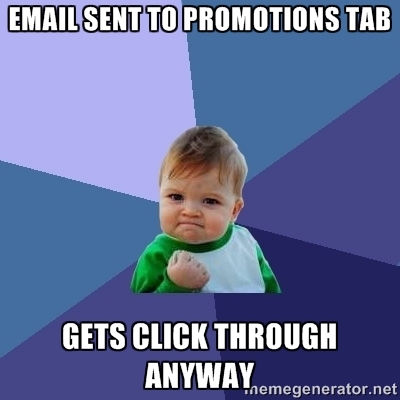 Sometimes this is accompanied with a promotional discount to nudge someone even further down the conversion funnel. You can use behavioural emails for a number of reasons, however retargeting is the most effective and essential to your email marketing campaigns. They are a way to personalise the experience for the recipient, and have proven to increase clicks and conversions. They are also used in lifecycle email marketing, which takes into account behaviours over time. Lifecycle email marketing is a great way to follow your customers through their journey. The key is automation with a personalised touch. You should start with segmenting your email base into cohorts, which is a great way to deliver the right email message to the right consumers. Dividing your email base into segments, or cohorts will allow you to see a total view of the types of customers and characteristics your company attracts. Is there is difference is click-throughs/ conversions between your newest contacts, and those that have been customers the longest? Surely. You should account for this by sending emails that correspond to where certain segments are in their purchasing or conversion path. An easy way to do this is to think of your customers as Interested Prospects, Engaged Customers and Lapsed Customers, as this excellent blog post explains further. Setting goals for your individual email campaigns that correspond to where your email base is on the conversion path will ensure that you deliver highly relevant messages to the right people at the right time. Tracking how well your email marketing campaigns are doing is an integral part of the endeavour. Marketers should concentrate on the major KPIs they need to hit their strategic goals, whether that is increasing click-through rates, conversions, participation in promotional materials, etc., and report their findings in clear and focused presentations. Reporting however, is not the only step since you should monitor your ESP to analyse the data over time and make corrections accordingly. Email is a fluid communication medium, and while it is undergoing major changes that have marketers wondering where it’s heading, email is still here to stay. Marketers have always found ways to adapt to changes is their digital environments, and email is no exception. Keeping the tips above in mind when you are building out new email campaigns will ensure that you are one step ahead of the curve, and that much more profitable for it. If you want to learn more about lifecycle marketing, check out our newest Customer Lifetime Marketing Kit below. It has a cool chart you can use too!